Home Drugs and Pharmacy What Happens If You Fail a Drug Test? Obviously, the main goal is to pass a drug test. A school, employer or parent may give you a drug test to see if you are staying clean. It may be done as a part of probation or as a requirement for a rehab program. Whatever the case, the first goal is to receive a clean result on the drug test. Employers often consult with lawyers about what to do when a positive result happens, and it can affect your employment status. There are also legal requirements and other factors that determine what happens if you end up getting a positive result on your drug test. – Your employer may fire you. – You may not be promoted at work. – The prospective employer will not hire you. – You may be disqualified for unemployment benefits, workers’ compensation benefits or disability benefits because of a positive drug test. This depends entirely on the jurisdiction. – If you were tested because of a workplace accident, you may not receive compensation because of the positive drug results. When you are taking a drug test for an athletic organization, a positive result may lead to suspension from competitions or practice. You may lose an athletic scholarship, or you may lose any times or medals that you gained. It is generally up to the college, high school or professional athletic organization to determine what happens to you. When someone is given a drug test for court-ordered probation, the effects of failing the test can be especially difficult. Often, individuals will be ordered to have drug tests if they were sentenced for drug-related charges. If they test positive for drugs, they may be sent back to prison or rehab for the entirety of their sentence. What Are Your Options If You Fail a Drug Test? 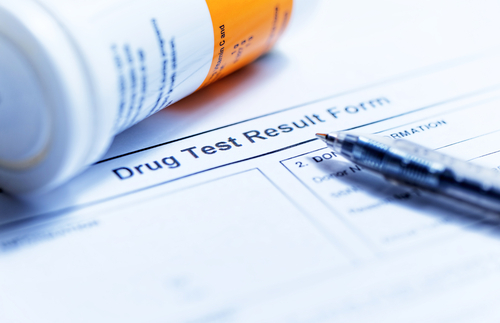 If you have failed a drug test, there may only be a few options available to you. Your options will also be limited by your history of drug use. If you have never used drugs before and have not been using illicit drugs, then there may be more options available to you. If you have never used illicit drugs before, then you may have received a false positive on your drug test. For this option, you ask the lab for a confirmatory test. This test basically looks at your urine again for traces of banned drugs, but the confirmatory test is more accurate and uses either gas chromatography or gas chromatography/mass spectrometry (GC/MS). These tests tend to be more expensive because they require more training and specialty equipment. When a confirmatory test is not available, you can ask for a retest. Some companies will retest your same urine sample by a second lab to make sure the results were accurate. What If You Are a Drug User? If you are a drug user, your options may be significantly more limited. Before you do anything, you should first see what the regulations are in your state or country. Many areas have regulations about employees abusing drugs. This is especially true if the employees work in transportation, federal government or healthcare-related industries. When there are not any laws in place for this situation, it is up to the employer to decide what happens. Depending on your situation, you may want to talk to your lawyer. If your workplace wants to turn in the drug results to law enforcement, it is extremely important that you talk to an attorney. You should also talk to a lawyer if you have not been hired because of the drug test. You can also get a lawyer’s support if you were fired or denied benefits because of your drug test. In some cases, you may be able to negate some of the potential problems associated with a failed drug test by tackling the problem head on. If your employer has an Employee Assistance Program, you may be able to sign up to get help with your substance abuse problem or enter a rehab program. Once you complete the program successfully, your employer may be more willing to rehire you. Could It Be a False Positive? Some items like over-the-counter medications, poppy seeds or hemp-containing products could cause a false positive. Ideally, avoid using these items before any drug test and make sure to list any over-the-counter or prescribed medications that you may be taking. If it is a false positive, ask for a confirmatory test and make sure to tell your employer the medications that you were using that could have caused the false positive.